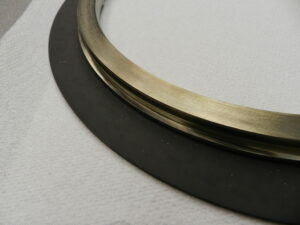 Carbon/graphite compressor seal rings are employed in many compressors and more and more metal backed graphite seals are being used in higher efficiency compressors. 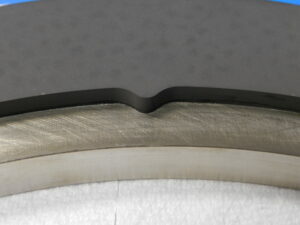 Frictional heating of seals can degrade metal backed graphite seals, therefore good thermal contact between the graphite seal ring and the metal backing is needed to improve cooling of the seal. 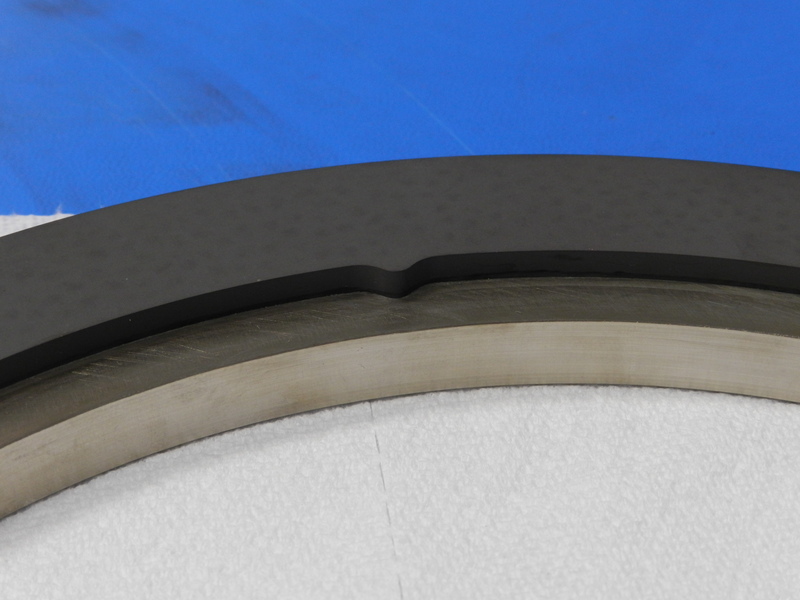 S-Bond Technologies has developed active soldering methods for graphite bonding which is now being used to manufacture rotating metal backed graphite seals. 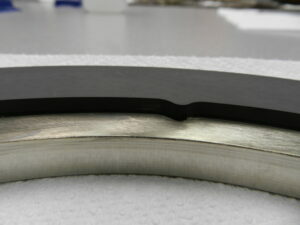 In the process, graphite rings are initially S-Bond metallized to create a chemically bonded solder to graphite interface. The sequence of bonding is shown in the figures below. 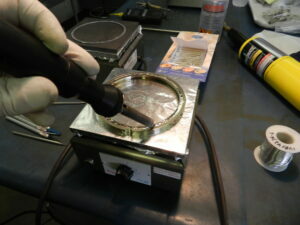 After metallization the metal rings’ bonding surface are pre-tinned with S-Bond filler metals, via heating, melting of the solder surfaces on the metal followed by mechanical activation (ultrasonic solder tip agitation). 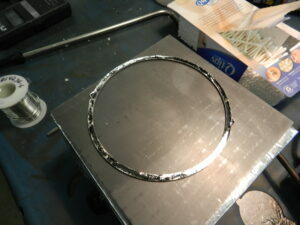 The metallized graphite ring surface, at 250C is pressed against the pre-tinned metal backing ring surface and then the assembled ring is cooled to solidify the solder joint. These S-Bond solder joined graphite to metal backing ring seals have endured 1,000’s of hours of running in natural gas compressors and are providing the customer with improved graphite – metal backed ring seal performance. 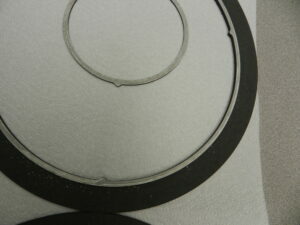 Please Contact Us for your graphite to metal bonding solutions. This entry was posted in Applications, Dissimilar Materials Bonding, Graphite Bonding and tagged Graphite Bonding by sbondadmin. Bookmark the permalink.